On 20th August 2015, The Council of Europe’s Committee for the Prevention of Torture and Inhuman or Degrading Treatment or Punishment (CPT) published the report on its fifth visit to Finland, which took place from 22 September to 2 October 2014. The CPT organises visits to places of detention, in order to assess how persons deprived of their liberty are treated. 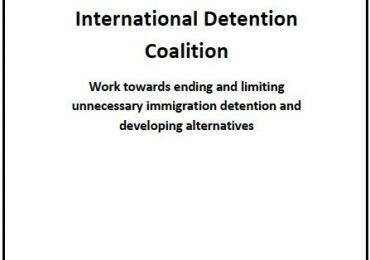 Some of the IDC members who also visit places of detention engage the CPT before and during their visit. During this fifth visit, the CPT inspected the following two detention centres (the Metsälä Detention Unit and the Jourtseno Detention Unit) as well as Border Guard detention facilities at Vantaa Airport. The main detention centre Metsälä Detention Unit holds up to 40 people. At the time of the CPT visit, 28 people were detained there. The average length of stay was 21 days for adults and 11 days for minors. The new Detention Unit in Joutseno was in the process of being established at the time of the CPT visit. The Jourtseno Detention Unit, located in Konnunsuo near Joutseno (South Karelia), is located in one of the former prison blocks, with the capacity of 20 places for adults and 10 places for families. In the past, Finland’s use of police cells and Border Guards facilities for the purpose of immigration detention was criticised repeatedly by the Committee. This happened when the Metsälä Detention Unit was full or if the person was apprehended far from the detention units. In Finland, under the Aliens Act, the police and the Border Guard can detain non-citizens on specific grounds. Within 96 hours of apprehension, the individuals must be brought before a judge who will decide whether the detention can continue or not, with bi-weekly detention reviews thereafter. The maximum time limit for immigration detention is 6 months, which can be extended up to 12 months. Positively, Finland is planning to partially restrict its use of detention for unaccompanied minors. The draft amendments to the Aliens Action would ban detention of minors under 15. 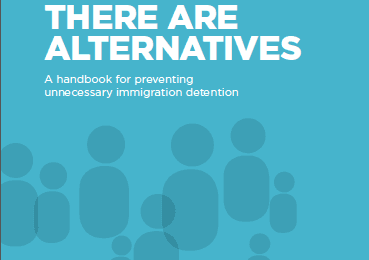 While those aged between 15 and 18 would continue to be detained for the purpose of deportation, there would be a maximum time limit of 72 hours on the detention of unaccompanied minors and ban the use of police cells for detaining them. The draft amendments would also require that social services are contacted before minors are detained. The CPT recommends that the law is amended so that no unaccompanied minor will be detained, following the article 37 of the Convention on the Rights of the Child and the best interest principles. Other Council of Europe bodies (the Parliamentary Assembly and the Commissioner for Human Rights) also ‘have stated that no unaccompanied minors should be detained’. While the material conditions in the detention centres were reported to be adequate and those detained generally reported positively about the staff members who work in those centres, the CPT noted the following concerns.